EHF Marketing GmbH, the marketing arm of the European Handball Federation, has announced that _wige BROADCAST, a subsidiary of _wige MEDIA AG, is to be responsible for the TV production of the VELUX EHF FINAL4. The event, which will be played on 1/2 June 2013 in the LANXESS arena, Cologne, will be broadcast in over 140 countries and attract a huge global TV audience. With a team of 40 staff, _wige BROADCAST will be responsible for the complete host broadcasting, including unilateral services such as stand-ups and commentary positions. The company will be on site with two ENG crews as well as two editing suites. 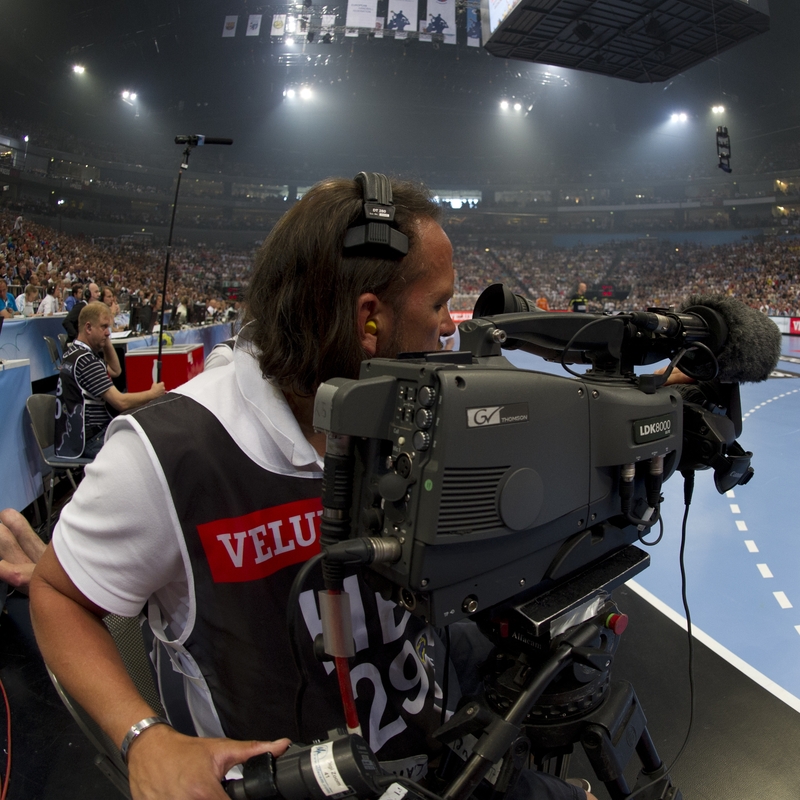 There will be a total of 15 cameras covering the action from the weekend’s four matches, providing exciting and comprehensive coverage of the event for those watching on television and via ehfTV.com, the EHF’s online TV platform. Three super slow motion cameras, a high-speed camera and three remote cameras will offer viewers a spectacular and diverse range of TV pictures. The entire production will be shown in full HD quality and Dolby Digital Sound. _wige BROADCAST will be supported in technical and personnel aspects by Partner Studio Berlin. _wige will also provide additional content including features and behind the scenes footage and will be responsible for the production of Fan TV in the LANXESS arena.